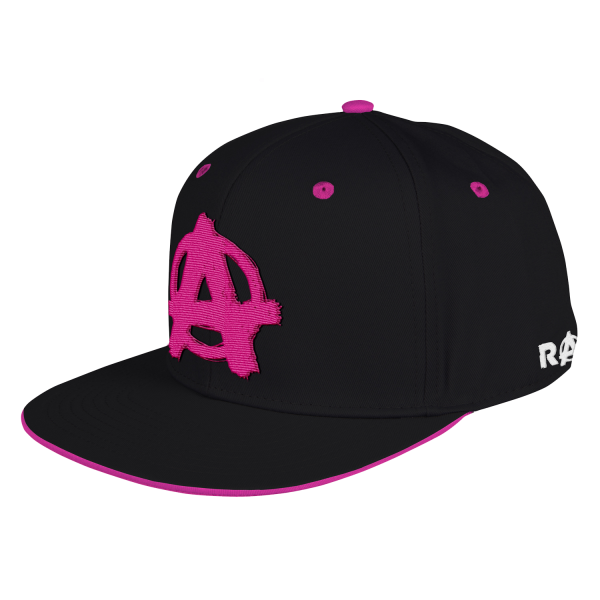 There isn't a better contrast to black than pink and it just screams at you from this snapback cap featuring the Anarchy symbol, a pink visor and a logotype embroidery on the back. Adjustable, made from 100% cotton. Manufactured by Gaya Entertainment.